A great beginning, it made me want to check that the loft space of our house is sealed and inaccessible from outside. 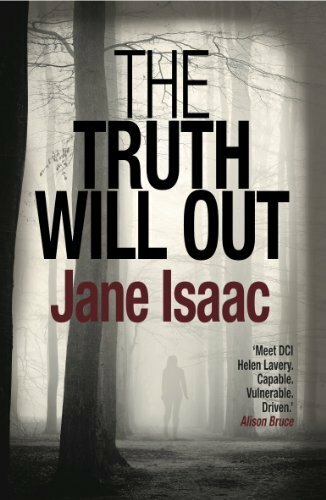 In The Truth Will Out by Jane Isaac, the lives of two young women are never the same again after a holiday to Italy. The truth of their trip dawns on them on their way home, and the days after their return are fraught. One is attacked, the other flees. Detective Chief Inspector Helen Lavery is on the case, hindered by the appearance of a central police team led by her ex-lover [odd that so many crime novelists feel the need to add a romance theme, is this because so many crime novels are read by women?]. So, a good combination of tension: will the baddies catch up with Eva, will the attacker strike again, and how will Helen cope with seeing her ex? A competent crime thriller with a female detective who, refreshingly, is not an alcoholic, on the verge of a nervous breakdown or being bullied by male officers. A few plot weaknesses aside – I never fully bought-into Eva’s flight and lack of concern about Naomi – this was a good tale though perhaps it could have been a little shorter. A slightly lacklustre final few pages. For more information about Jane Isaac and her books, click here.